So, last night I got a Chinese looking package from Longs Motors (Hamburg Warehouse). 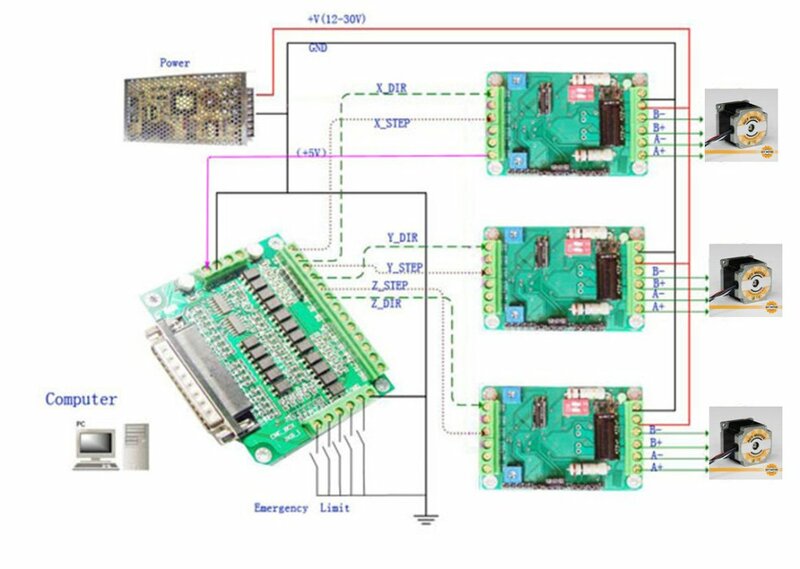 The contents were limited to a power supply (24V / 8.3A), four stepper motor drivers (DM420A), four NEMA17 stepper motors 17HS8630N (12V 0.4A 1.8°/step) and a parallel DB25 breakout board. As expected, no manual, instructions or similar paperwork was supplied. Even the 24V PSU doesn’t really match the 12V motors! You can turn it down, but only to around 19V. So I ended up using my 12V power supply that I have for the first tests. Biggest trouble was making sure everything is hooked up properly. The motors turned out to be 6 wired 2-phase unipolar stepper motors. Each coil has 60 Ohm resistance with the center connector being half (30 Ohm) against each end. Two of those sets in total. 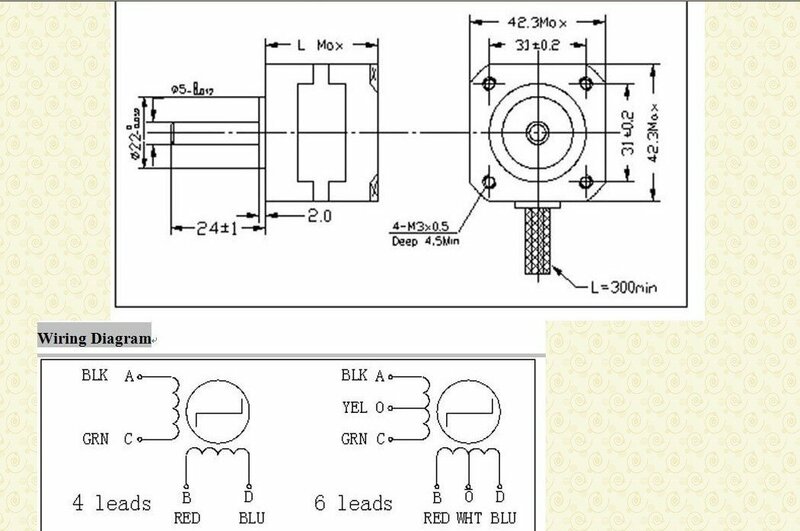 The stepper motor driver can only power two phases (A+ / A- and B+ / B-). I’m still not sure, where to connect the coil center to. Finally, the controller board is easy to use, if you have a computer with a working parallel port. Unfortunately, my oldest PC is too slow for Mach3, doesn’t have a DVD drive so I can use LinuxCNC and the next best option lacks the parallel port. A PCIe spare card was recognized, but it doesn’t power my controller board as expected. So I ended up using KCAM on my oldest PC for the first initial tests.